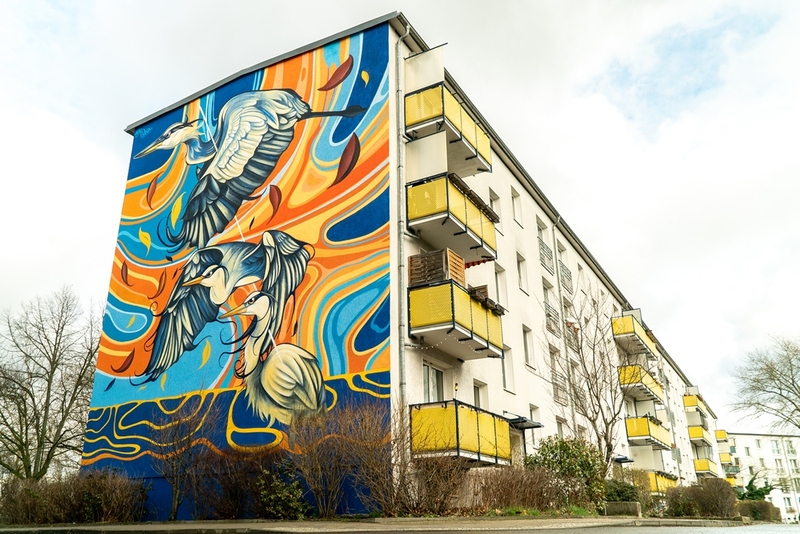 From mid March 2019, tenants, residents and art lovers can find a unique mural at Mentelinstrasse 45 in the Berlin district of Treptow-Köpenick. 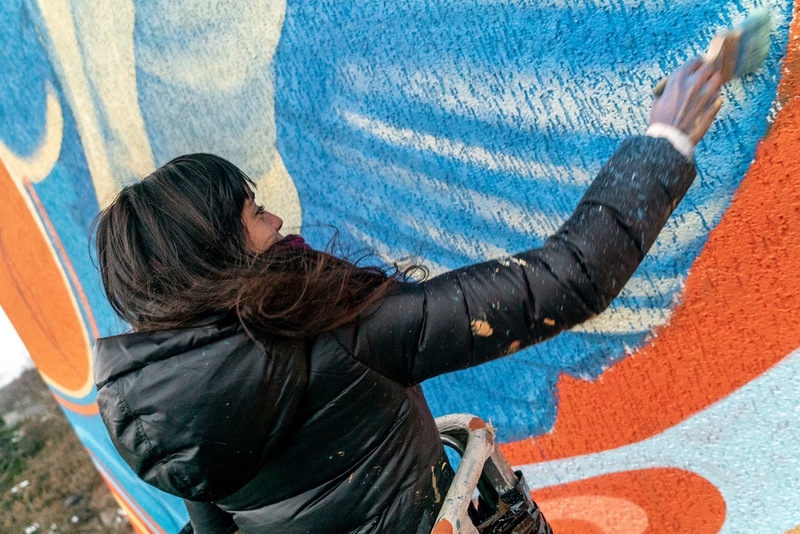 The ‘Colourful Animal Kingdom’ street art was created by Argentinian muralist and illustrator Fio Silva. 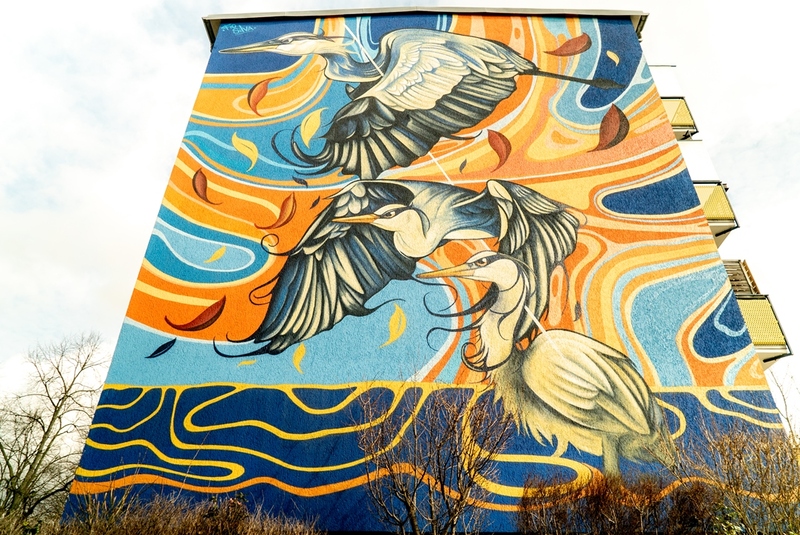 Nature and the animal kingdom are recurring themes in the artist’s work. 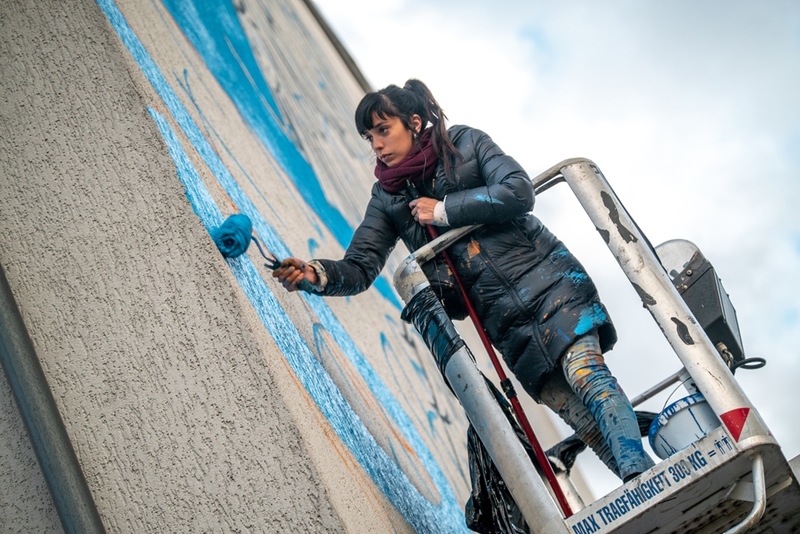 The bold colours play a crucial role in Fio Silva’s work, lending her compositions their own unique energy and dynamism. 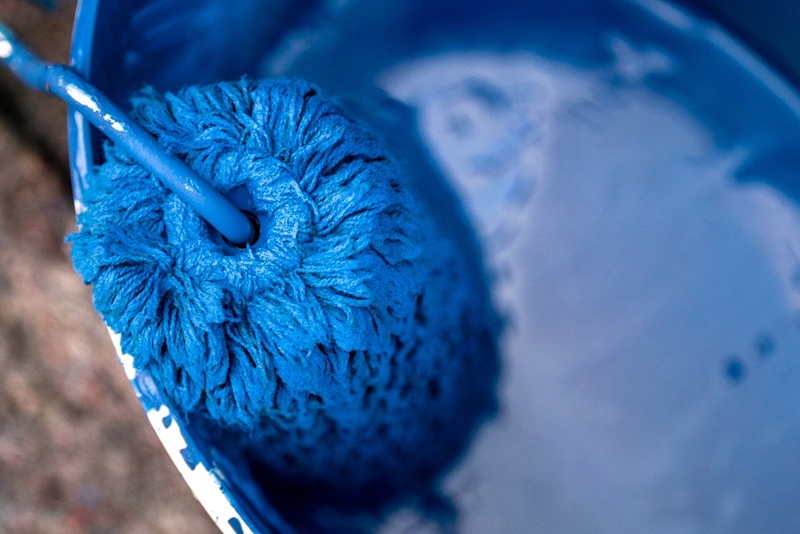 This helps her create realistic pictures that also evoke the spirit of surrealism and abstract art. 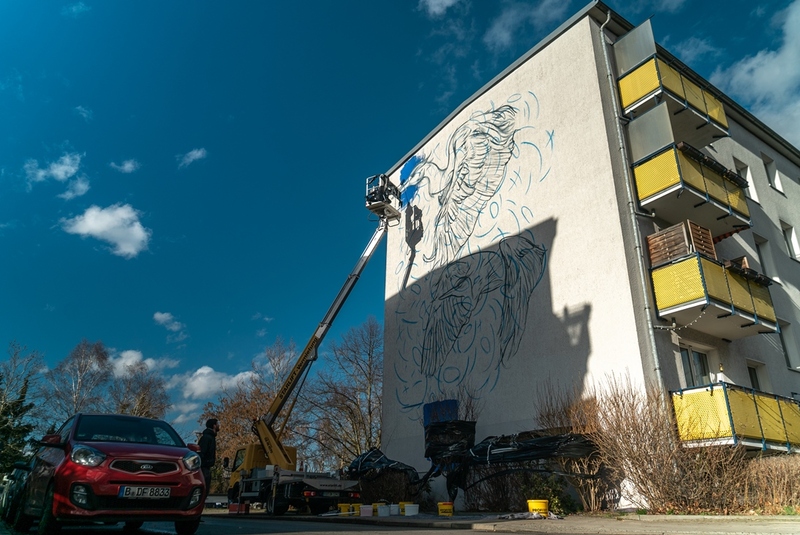 This is the fourth urban art project supported by Deutsche Wohnen since it began work in this area in September 2018. 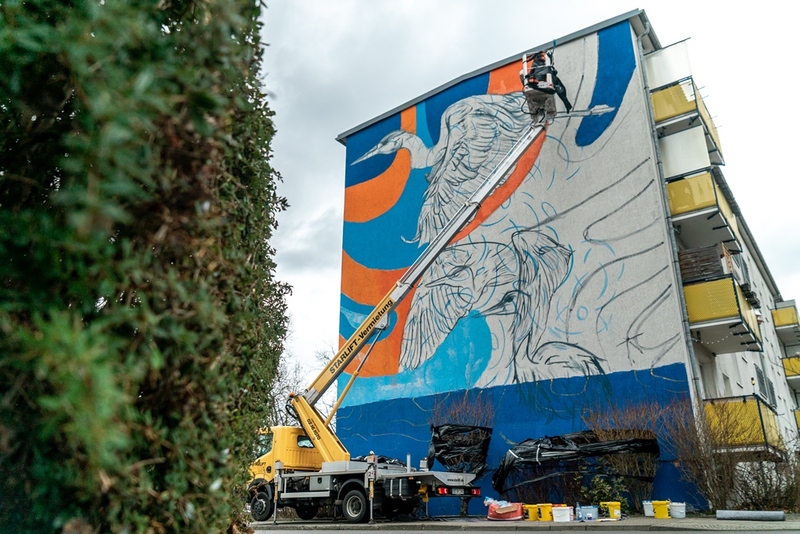 Artists such as Tank, Huariu and Stereoheat have already created stunning murals. 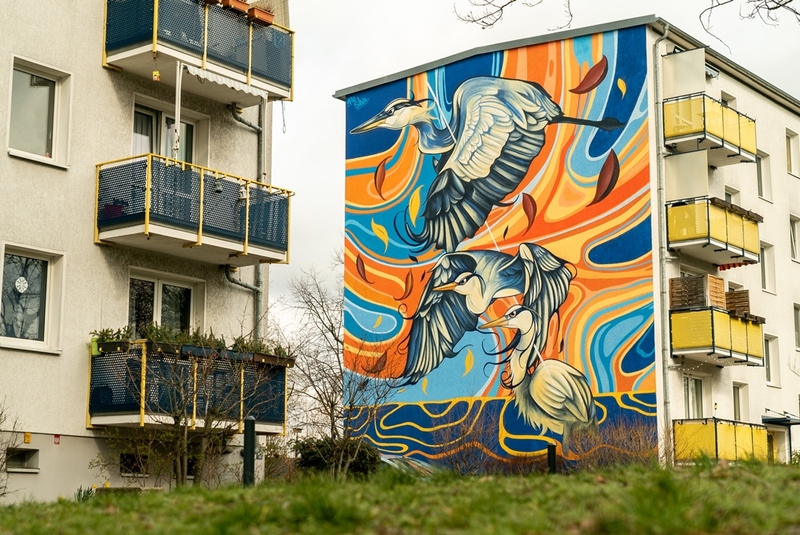 For more information on Deutsche Wohnen’s commitment to urban art, visit our page ‘Neighbourhood art’.